You’re cordially invited to attend the wedding of Gillian Jacobs & Garry Marshall on this special episode of Comedy Bing Bong. 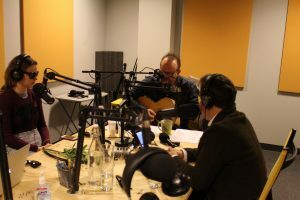 Master singer-songwriter Colin Hay of Men at Work is playing songs from his new record “Next Year People” to celebrate their love and director Len Wiseman is also here to bear witness on this beautiful occasion. This may possibly be the most important wedding in Hollywood history!